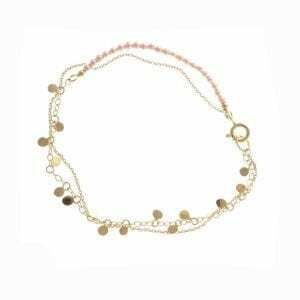 Exquisite double chain bracelet with leaf design and softly coloured pink pearls. We thought you would like to know has been eyeing up our 14k Yellow Gold Pink Pearl Leaf Bracelet for some time now and has requested we bring it your attention. What's your question about 14k Yellow Gold Pink Pearl Leaf Bracelet? 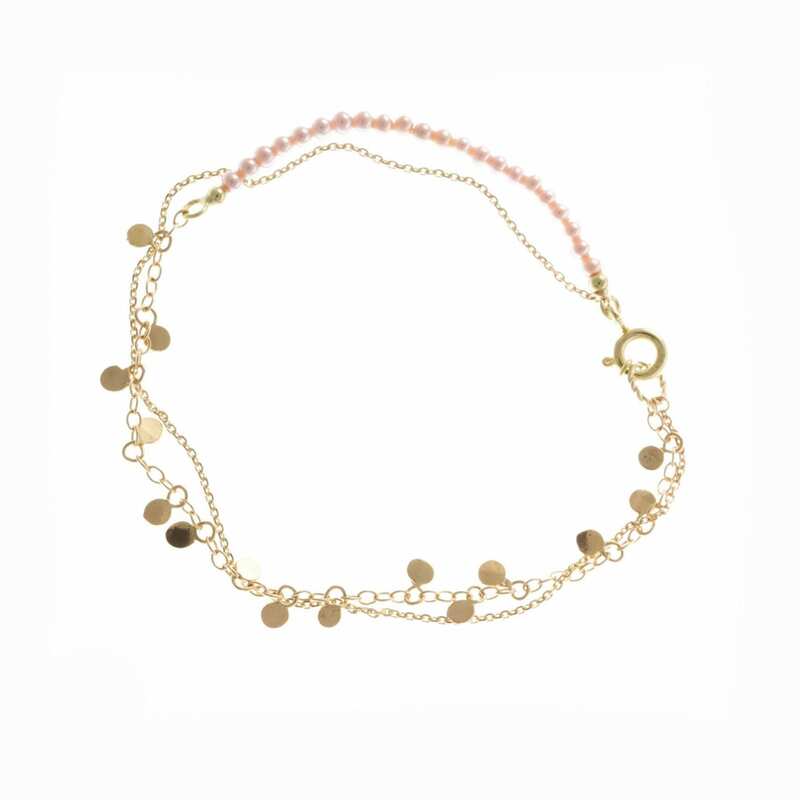 This stunningly delicate bracelet has two 14k yellow gold chains one with a row of pale pink freshwater pearls. This intertwined layered bracelet adds a gentle pop of colour to any outfit. Bracelet Length: 7inches. Bracelet Width: 4mm. Closure: Bolt Clasp. Note: Available in different metals, gemstones. 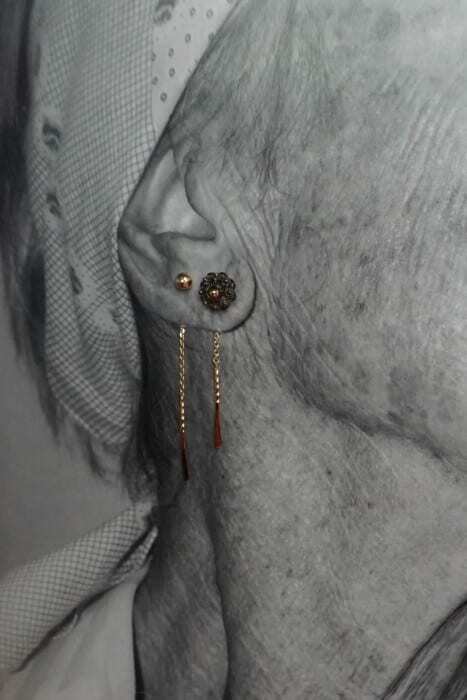 Matching Necklace, Earrings available.